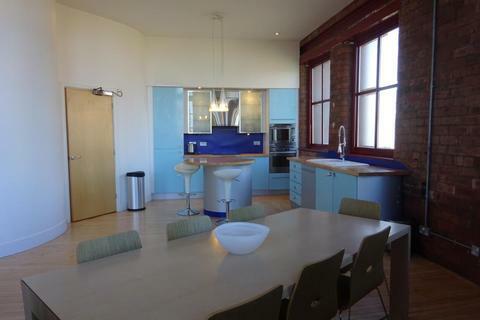 An absolutely stunning apartment which offers the highest standard of luxury accommodation based in the centre of Leeds. Quality and character are what makes this 2-bedroom apartment so special, the flexibility and security in our luxurious space, makes it an accommodation solution that will meet all your needs. This super luxury apartment is individually unique, with an array of stunning features and styles. The apartment includes a fully fitted kitchen, which is equipped with modern appliances including an electric oven and hob and built in utilities such as a dishwasher and fridge freezer. All kitchens include a microwave, toaster, kettle and espresso machine, along with all utensils. Our living room is comfortable, stylish and functional. Designed to the most deluxe standard, the vibrant living spaces are both airy and spacious, featuring an effortlessly chic sofa in the heart of the room. The living room is equipped with a 55” LED flat screen TV, which includes streaming platforms such as Netflix and iPlayer. The dining space is situated next to the kitchen, where guests can find a glass topped table complete with modern upholstered dining chairs. The master bedroom includes a double bed and a single bed, while the other bedroom includes a king bed, all layered with crisp white linen. The bedrooms feature vibrant cushions and modern artwork, which add a characteristic and colourful sparkle to the expansive space. Our bathrooms are designed to a stunning standard, with a relaxing feel. Each bathroom is fitted with a bathtub where our guests will get to enjoy a fresh, hot shower or a slow, rejuvenating bath. All bathrooms include a hand basin and toilet. Complimentary toiletries and towels are included, as well as a hairdryer. Property reference -EiKrQslOz4. The information displayed about this property comprises a property advertisement. OnTheMarket.com makes no warranty as to the accuracy or completeness of the advertisement or any linked or associated information, and OnTheMarket.com has no control over the content. This property advertisement does not constitute property particulars. The information is provided and maintained by Hudson & Jones - Leeds. Please contact the selling agent directly to obtain any information which may be available under the terms of The Energy Performance of Buildings (Certificates and Inspections) (England and Wales) Regulations 2007 or the Home Report if in relation to a residential property in Scotland. OVER 1000 SQUARE FOOT! 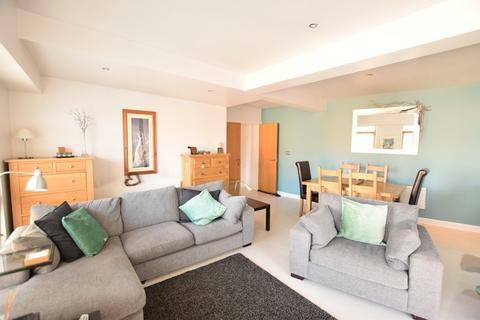 Be the first tenant to occupy this BEAUTIFUL furnished TWO bedroom apartment in No.1 Dock street with huge BUILT IN WARDROBES and SECURE PARKING, two minutes from local AMENITIES and 10 MINUTES from Leeds train station. 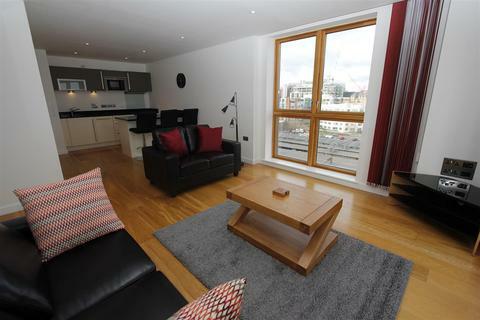 Immaculate two bedroom penthouse positioned in the much sought after Roberts Wharf, Leeds City Centre. 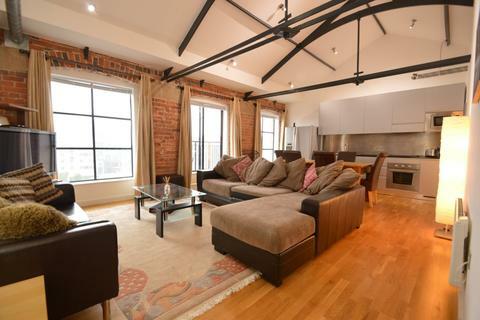 This South facing, Riverside apartment is to a very high standard throughout and has retained many original features. Call today for more information.